The former president nominated Bill Clinton for the ALS benefit. 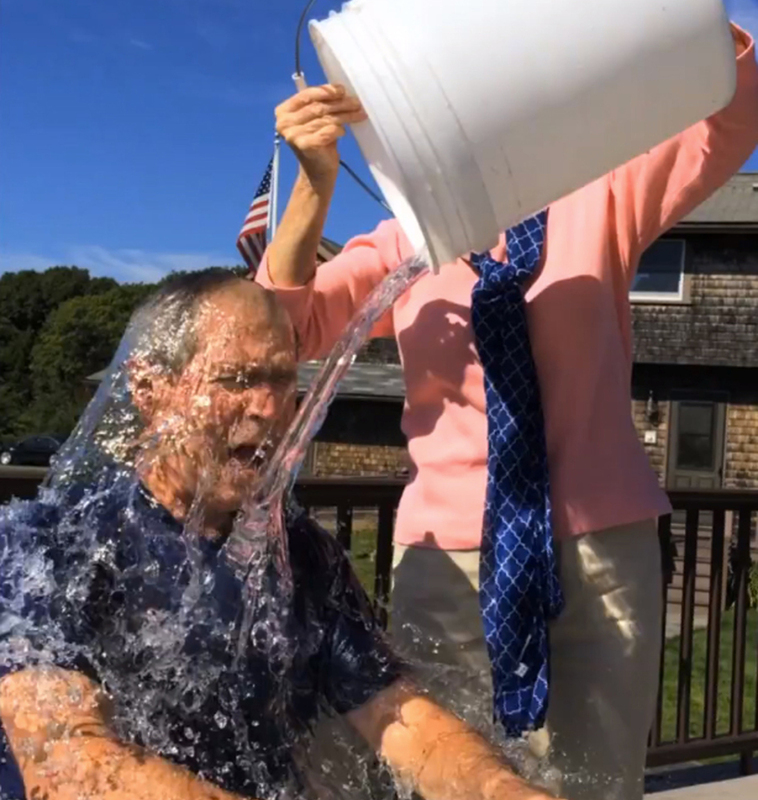 KENNEBUNKPORT — Former President George W. Bush took the ice bucket challenge then nominated former President Bill Clinton to do it next. The challenge has caught on with notable figures participating in the campaign to raise money for the fight against ALS, or Lou Gehrig’s disease. Also in Maine this week, author Stephen King took the challenge, and then challenged author John Grisham.